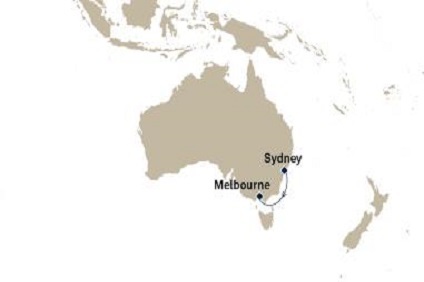 2 Night Cruise sailing from Sydney to Melbourne aboard Queen Elizabeth. QUEEN ELIZABETH is our newest luxury ocean liner, named in October 2010 by Her Majesty the Queen. Recalling the rich heritage of the first Cunarder to bear the name, her elegance echoes that legendary age and enhances her modern allure. The harmony of classic and contemporary strikes an elegant chord throughout this magnificent ship. Images and features from her predecessors, Queen Elizabeth and QE2, sit comfortably alongside her modern charm. Within Queen Elizabeth’s sleek lines, the lavishness of eras past meets the thrilling future of ocean travel. Welcome, then, to the next elegant chapter in Cunard history. Originally part of New South Wales, Victoria became a colony in its own right in 1851. The discovery of gold and the development of agriculture propelled Melbourne’s rise to prominence and prosperity. Flower gardens and graceful, tree-lined boulevards add a refined air to Melbourne, regarded as the hub of Australia’s cultural, intellectual and financial life – at least by Melbournians.